Be the King of Atlantis in the Aquaman Costume For Men! Arthur Curry wasn’t always a citizen of the sea?he had a fairly normal childhood until he realized he could breathe underwater and communicate with fish. His mother revealed on her deathbed that she was the Queen of Atlantis and that Arthur would someday rule over the seas. His father, a lighthouse keeper, taught Arthur how to use his powers, and he soon became an aquatic superhero known as Aquaman. You’ll be a hit on land or under the sea when you wear this red and green stretch fabric bodysuit, yellow belt, black shorts, green gloves, and green boot covers with fins. In brightest day, in blackest night, No evil shall escape my sight. Let those who worship evil's might, Beware my power… Green Lantern's light! Licensed costume from the Green Lantern movie that includes a light-up muscle chest jumpsuit and mask. THE JUSTICE LEAGUE'S FASTEST MEMBER! CREATE A STIR WHEN YOU SHOW UP WITH THESE MUSCLES. COSTUME INCLUDES MUSCLE CHEST JUMPSUIT, BOOT TOPS, BELT, AND HEADPIECE. QUICK AS LIGHTNING! 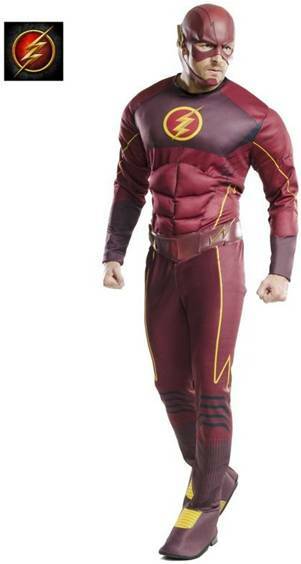 COSTUME INCLUDES CHARACTER DEPICTED MUSCLE CHEST JUMPSUIT WITH ATTACHED BOOT TOPS AND BELT AND HEADPIECE. From the hit TV Series, the Flash. 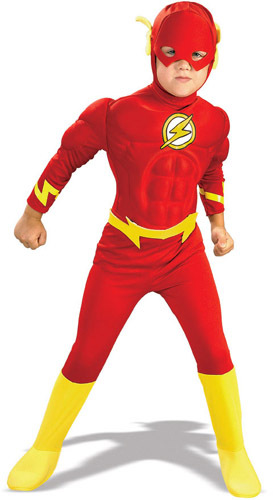 Licensed costume that includes a muscle chest jumpsuit with molded belt and mask. THE SAME POPULAR SUPERHERO WE ALL LOVE IN THIS STYLISH VERSION. COSTUME INCLUDES CHARACTER DRESS, CAPE, BOOT TOPS, HANDCUFFS, PVC MASK AND VINYL BELT. 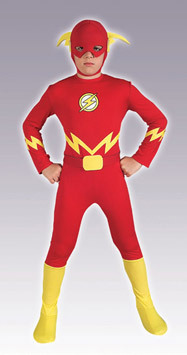 COSTUME INCLUDES CHARACTER HEADPIECE AND JUMPSUIT WITH ATTACHED BOOT TOPS. The fastest girl alive! Includes dress, mask and wrist guards. 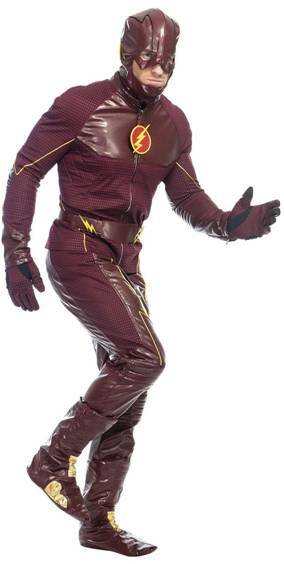 The fastest man alive just got his own skin suit! Includes a complete bodysuit. 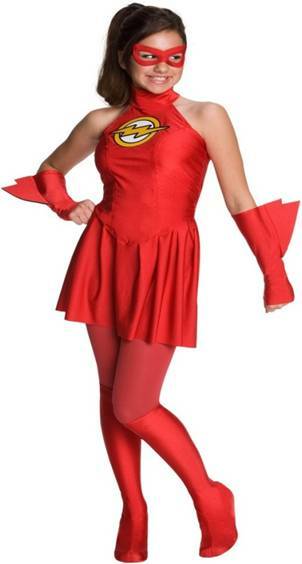 Join the justice league with this costume that includes a dress, mask, tights, glovettes and boot tops. From the hit television show, Arrow. Licensed costume includes hooded jacket and gloves. 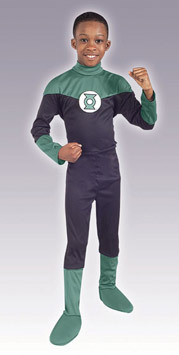 Officially licensed DC Comics Green Lantern costume that includes a tutu dress, mask and arm cuffs. Includes muscle chest, jumpsuit and mask. Licensed movie costume. Includes jumpsuit and mask. In brightest day, in blackest night, no evil shall escape my sight! Let those who worship evil's might, beware my power.. Green Lantern's light! Includes dress with gloves and boot tops. 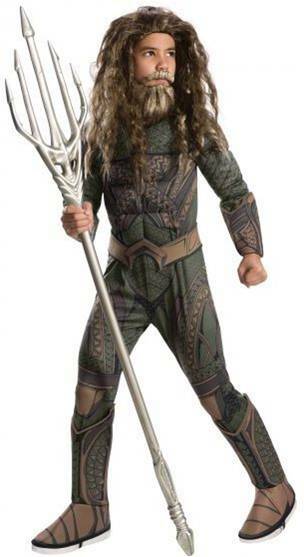 Officially licensed Aquaman costume from the blockbuster movie, Justice League. The fastest man alive! Includes a jumpsuit and mask. The fastest man alive! Includes a muscle chest jumpsuit with boot tops, 3d gauntlets and mask. The fastest man alive! Includes a deluxe jumpsuit with attached molded armor, attached shoe covers, separate chest and back armor piece and molded overhead mask. 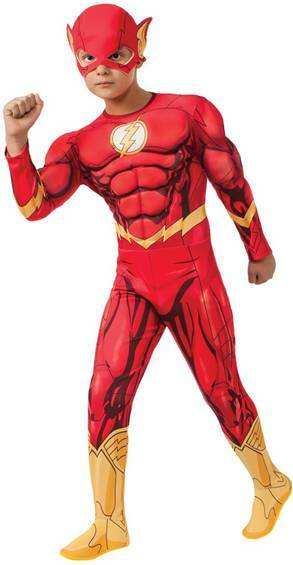 Includes light-up muscle torso jumpsuit and mask. 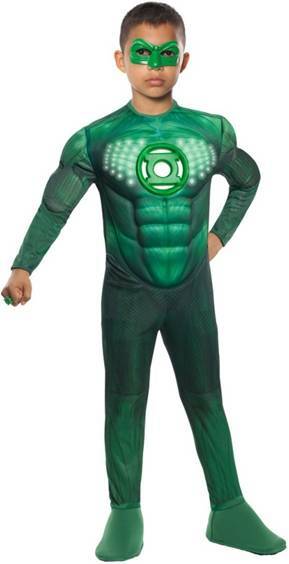 Licensed Green Lantern movie costume. In brightest day, in blackest night, no evil shall escape my sight! Let those who worship evil's might, beware my power.. Green Lantern's light! Includes muscle torso jumpsuit and mask. Licensed movie costume. In brightest day, in blackest night, no evil shall escape my sight! Let those who worship evil's might, beware my power.. Green Lantern's light! The fastest man alive! Includes a hooded jumpsuit. In brightest day, in blackest night, No evil shall escape my sight. Let those who worship evil's might, Beware my power… Green Lantern's light! Licensed costume from the Green Lantern movie that includes a jumpsuit and mask. 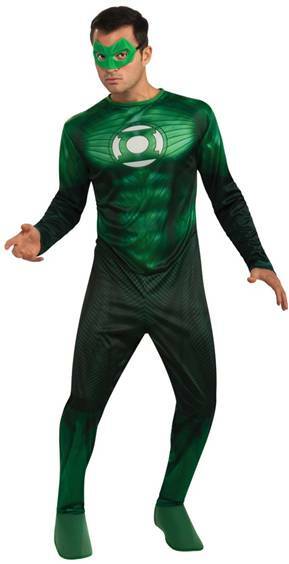 Officially licensed movie Green Lantern costume that includes the jumpsuit and mask. The fastest woman alive! Includes a leotard. 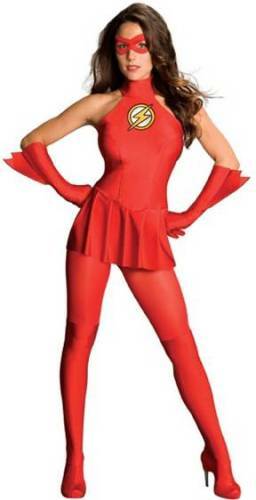 COSTUME INCLUDES HEADPIECE AND ROMPER WITH INNER LEG SNAP CLOSURE. 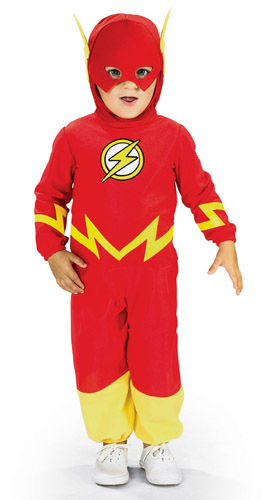 GREAT LITTLE BROTHER SUPERHERO COSTUME. From the hit TV Series, the Flash. 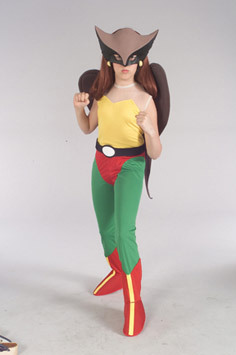 Licensed costume that includes a jumpsuit and mask. From the hit television show, Arrow. Licensed costume includes a black bolero, leotard, pants, belt and mask. From the hit television show, Arrow. 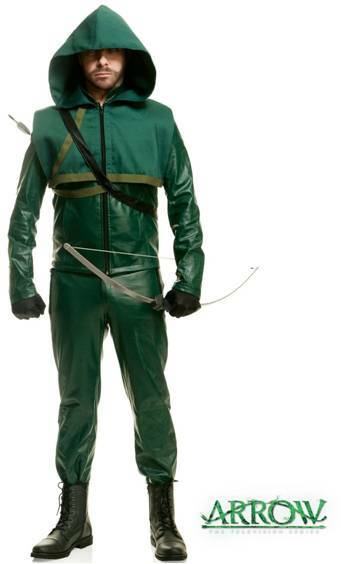 Licensed costume includes hooded shirt, pants, arm guards and eye mask. From the hit television show, Arrow. Licensed costume includes jacket, pants and hooded vest. From the hit TV Series, the Flash. Licensed costume that includes a jacket, mask, boot covers, belt, gloves and pants.